That magic world of Sound, These are the People who make it happen. With her attention to detail and openness for new techniques, she's always developing her skill set. 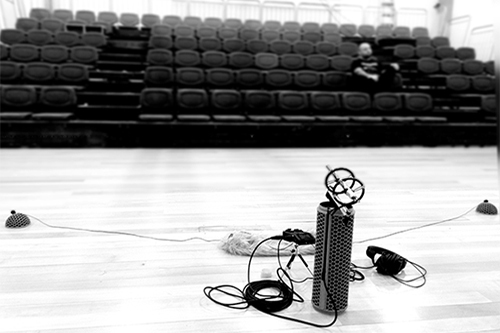 Whether recording inside their massive, quiet foley room or out in the field in the remote New Zealand countryside, She'll take whatever steps necessary to create the best possible sound to cater to the individual project's needs. Amy's strong work ethic and high quality workmanship is a value that runs through every project she undertakes. She lives and loves audio post. He returned to Auckland, New Zealand in mid 2015 to begin work in the foley department on the popular Starz series; Ash vs Evil Dead. He has lectured on the art and craft of foley at UCLA and is part of the NZ S.A.E Creative Industries Advisory Committee, who helps shape the curriculum of their students. Now, quite far into his fourth decade he has completely given up on following popular music and social events and endeavours to continue honing his craft in foley and SFX to a fine point.